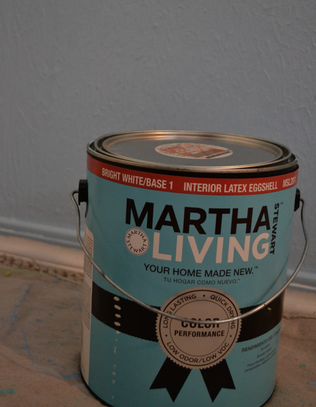 I bought paint for Katie’s bedroom back in…July or August? Yes. Sometime last summer. I’m light on writing gigs this month, so I decided THIS. WAS. THE. WEEK. Her room is now cornflower blue. I’m Okay With Walls, But Spray Paint? Not So Much.